Colourful hair are an original proposition, that most women will not decide to go along with. Even if you take into consideration different colour than blonde, brown or black, you usually think about delicate highlights. Courageous people can try entire appearance change. Check out which hair colour will suit you. Rainbow hair are an indication of courage. The hair style represents personality qualities you have. The choice of colour should be based on the beauty type. Meet colourful world of hair. 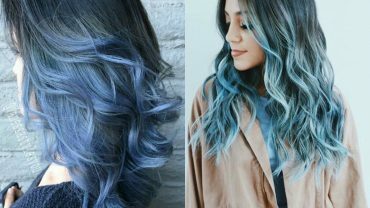 Blue, turquois and green, especially in cold tones, are best for people with cold skin complexion and beauty type. 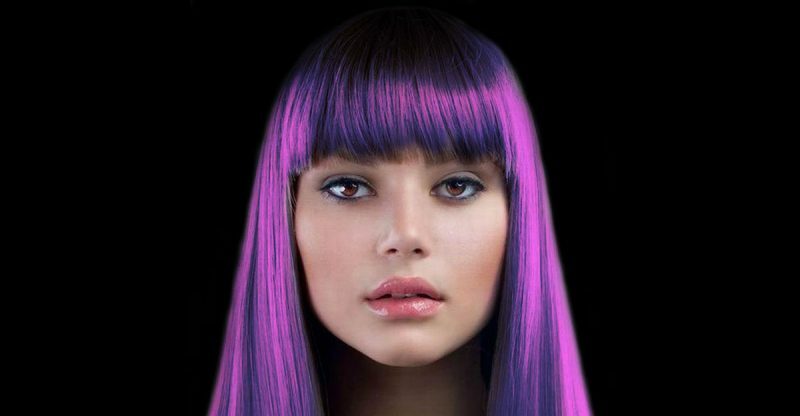 Violet goes perfectly with olive skin tones and green eyes. With this colour you can easily extract the depth of your look. Combination of the colours (e.g. green-blue ombre) is great for optical volume increase. Such solution works best for dark eyes and brows. Pink and red hair does not match every hair type. It is certainly not recommended to dye hair in this colours by people with fair skin. If your skin is prone to spider veins, acne and other skin imperfections, then this intense colours are no go. It will only emphasise what you try to hide. However, grey hair require some skill. It is easy to choose wrong shade and make yourself look several years older. How should you proceed with colourful hair colourisation? Rainbow hair and all bold colourisations you see on the Internet require right hair dye. There is little choice when it comes to this intense and original colours. Especially in the drugstores and smaller shops. To get high quality product visit online shops or hairdressing whole sellers. Dramatic hair colour change, for example from dark to light requires professional decolourization treatment. If you want long lasting and beautiful solution, you must use services of good hairdresser. So that colourisation work, you have to be skilled, have knowledge and experience. How to make your hair grow long? A few useful tricks.